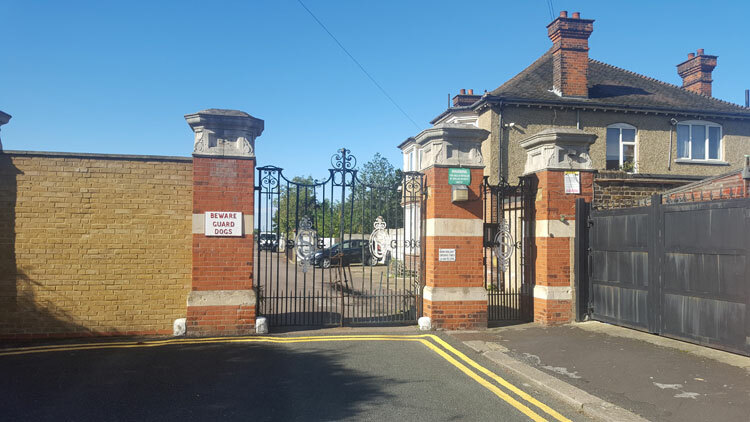 The cemetery, off High Street South, East Ham, belongs to the Burial Society of the United Synagogue, Ilford. The society can be contacted on 020 8950 7767. 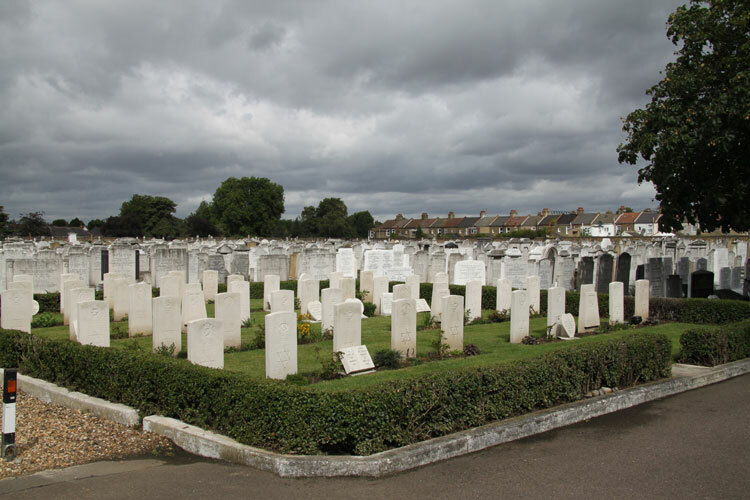 There are 15 burials from the First World War, and 98 from the Second World War. It should be noted that the cemetery is closed on a Saturday, and only open between 10.00 a.m. and 2.00 p.m. on Bank Holidays. A visit by a photographer for this website (Wayne Bywater) on a Saturday found the cemetery to be locked, with no help available from a nearby gatehouse. 1 soldier of the Yorkshire Regiment is buried in this cemetery. The Headstone for Private Harry Israel Reece in East Ham (Marlow Road) Jewish Cemetery. Select the above image for a larger view which opens in a new window. Private Harry Israel Reece. 34277. 9th Battalion the Yorkshire Regiment, transferred to (181398) Labour Corps. Son of Nathan & Annie Reece. Husband of Mary Dolly Reece of 15 Lily House, Brick Lane, Whitechapel. Born St Georges, London. Died 18 March 1919. Aged 39. Buried EAST HAM (MARLOW ROAD) JEWISH CEMETERY. 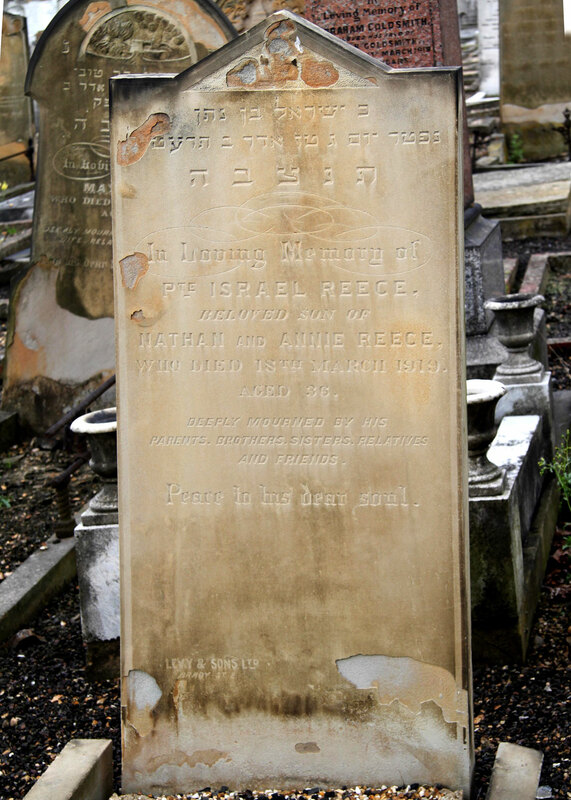 Shown on the headstone as "Israel Reece". **Private Reece was one of 13 soldiers who served in the Yorkshire Regiment who are commemorated in the British Jewry Book of Honour. Of the 50,000 Jews who served with the British and Colonial Forces during the First World War, 2,324 lost their lives and are commemorated in this book.